Gokarna is a small pilgrimage town on the coast in the Karnataka state of India. 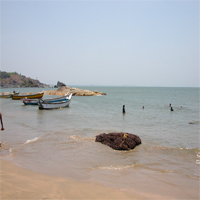 Gokarna, meaning cow's ear in Sanskrit as the ear shape is formed by the confluence of two rivers to form the town. The place gets its name from the local legend that Lord Shiva emerged from the ear of a cow. It is a conservative Hindu pilgrimage town, home to several temples and festivals. Most foreign tourists come to stay on one of the 4 beaches just south of town. Kudlee Beach is the first, about a 20 minute walk, and they get more remote and less populated as you head south. 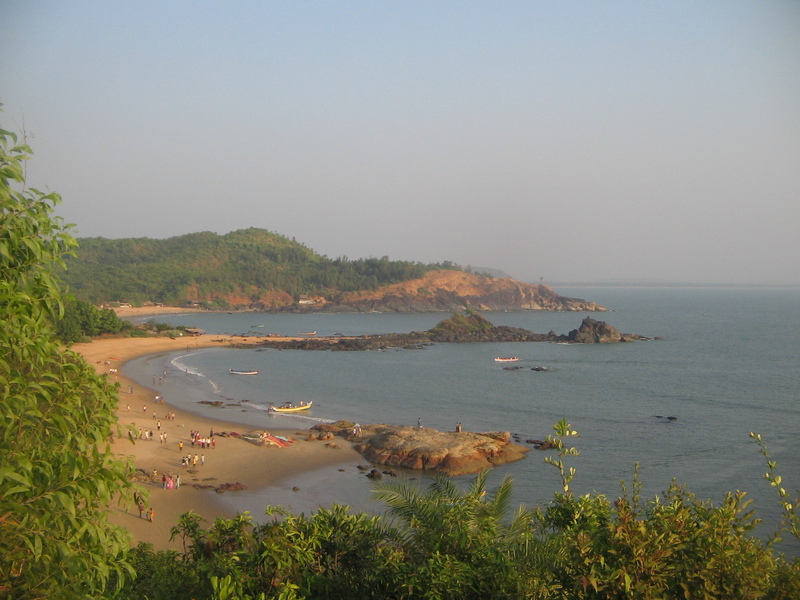 The best time to visit Gokarna is during the 4 day Shiva Ratri festival, where 2 giant chariots are pulled down the main street and up to 20,000 pilgrims descend on the town. Gokarna is well known for its Sanskrit & Veda teaching facilities, you find a number of serious students both Indian and Foreign converging on Gokarna, and staying for months together. 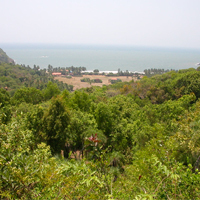 Gokarna is connected by rail from Karwar, Ankola, Hubli, Mangalore, Kumta and Margao. 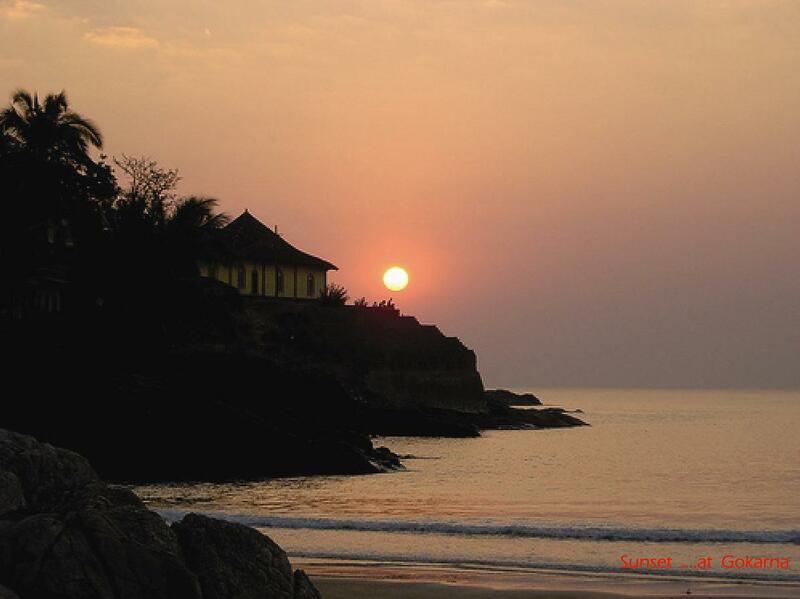 The Konkan Railway passes through Gokarna - Kumta (35 km) and Ankola (20 km) are the nearest major railway stations. The Karnataka State Road Transport Corporation operates buses from these places. Gokarna's Railway Station is actually about 9 kilometers away from the town, taxis usually ask for around Rs 250 whereas Rickshaws should be in the Rs 120-200 range (unless you arrive at nighttime during the monsoon). If you want to save some money, just take a right at the road right in front of the train station. Once you hit the main road, there's a bus stop where you can catch a bus that will take you into Gokarna for Rs 10. Although Shivratri is the best time to visit for a pligrim,Gokarana is a bustling tourist attraction all through the year, particularly in the winter months from October to February.